Chocolate Bunny has penned a letter of high dudgeon to the Anti-Discrimination Board of NSW. His current medication involves the use of a special inhaler. He has been forced to use the Aero-Dawg inhaler, as the company that makes these also makes Aero-Kat inhalers, but nary an Aero-Bun inhaler is to be found. Choccy has made the point to the Board that this rampant anti-Oryctolagus cuniculus speciesism should not be tolerated. 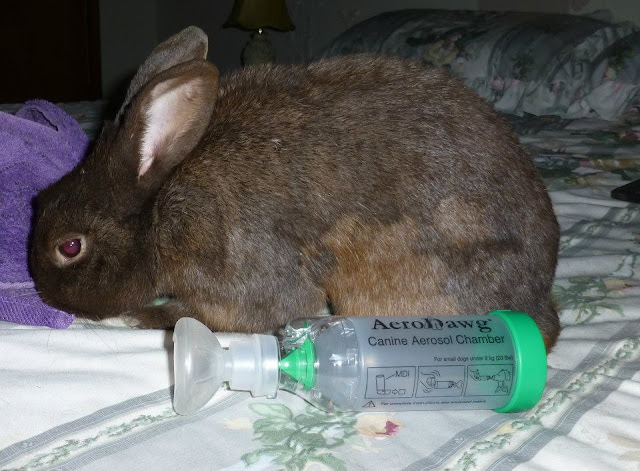 He has helpfully suggested in his letter that when an Aero-Bun inhaler is developed, it could include an essence of banana scent to improve the holistic rabbit experience in using this apparatus.